On the month of January every year, the whole of Cebu, along with patrons from other provinces, celebrates the Sinulog Festival. Taken from the local word sulog (translated as “like movement of the water current”), this festivity is centered on the forward-backward, flowing movement that people offer to Santo Nino as a sign of gratitude. Such dancing signifies the people’s acceptance of Catholicism and the detachment from paganism. Based on tradition, the Sinulog Festival is celebrated for nine days; the last day concluded on the third Sunday of January where the Grand Parade happens. 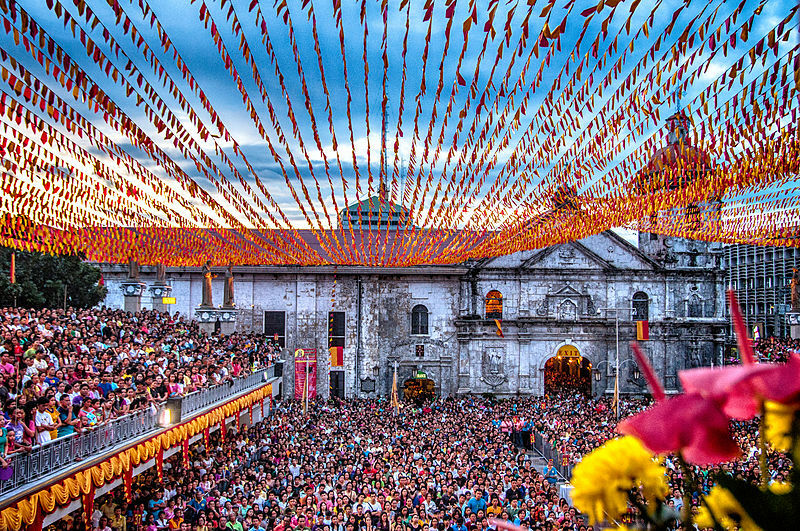 Aside from all the contests, concerts, food indulgence, and parties happening in almost every corner in the Queen City of the South during that span of time, this festival is also beaming with religious activities that aim to honor and give thanks to the Infant Jesus or Santo Nino as we all call Him. The opening salvo for the Sinulog actually is the Walk with Jesus, a penitential foot procession that is usually participated by the Augustinian friars, the parishioners, nuns, religious groups, and the devotees. The people gather as early as 4AM and carry their own Sto Nino statues and rosaries as they walk and pray through the major streets of Cebu City. The scheduled masses then follow. This magnificent event that is attended by thousands of people happens just the day before the Grand Parade. 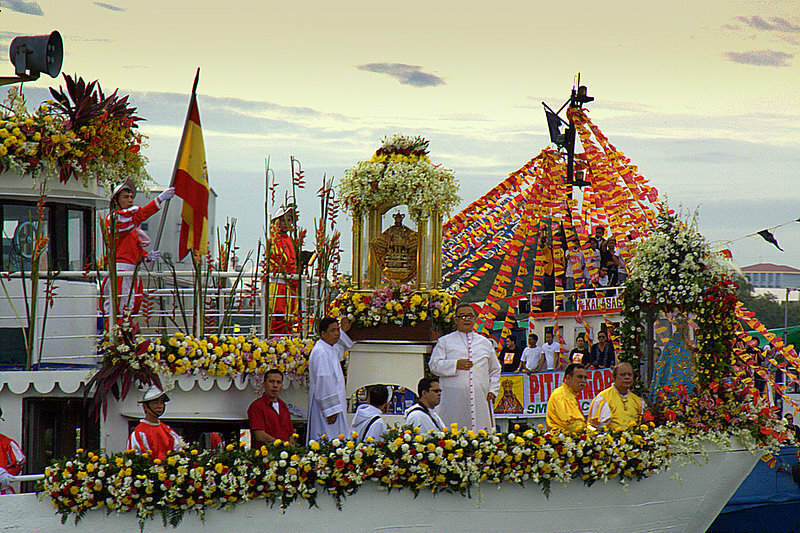 This water parade is led by a well-decorated pump boat carrying the Santo Nino and followed by the devotees. 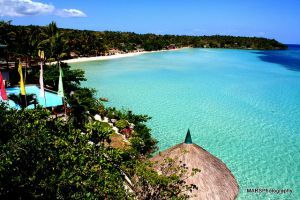 The route starts from the Mandaue City wharf, cruises through the Mactan Channel, and ends at the Cebu City wharf. 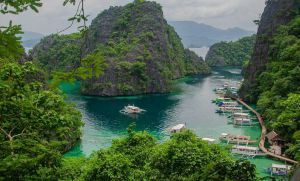 Usually hundreds of beautiful flowers and candles are offered to the Santo Nino, making the morning sea a sight to behold! A vital part of the Sinulog Celebration, the reenactment of the Christianization of Cebu happens right after the fluvial parade. Once the procession reaches the Basilica, the public can take a look back at history and learn about how the ancient Cebuanos shed their pagan beliefs and how they started to accept Christ into their lives and how they learned to embrace Catholicism. This is one of the most populous religious activities of the Sinulog. People from the church, from the government, from the private sector, from the barangays, and from various businesses all come together and walk in the streets of Cebu for hours the day before the last day of the feast. All of the attendees show their devotion by walking for a long time carrying their Santo Nino figurine throughout the parade, rain or shine. On the last day of the Sinulog festivities, the most important mass celebrated by the Cardinal is carried out at the Basilica. Being the most significant of all religious activities during the festival, this mass is typically assisted by the respectable bishops. Attendance of the Pontifical Mass usually reaches thousands, which only proves the overwhelming devotion of the people to the Child Jesus. Once the mass is over, everyone then heads on to the streets and to the Coliseum to watch and enjoy the Sinulog Grand Parade. 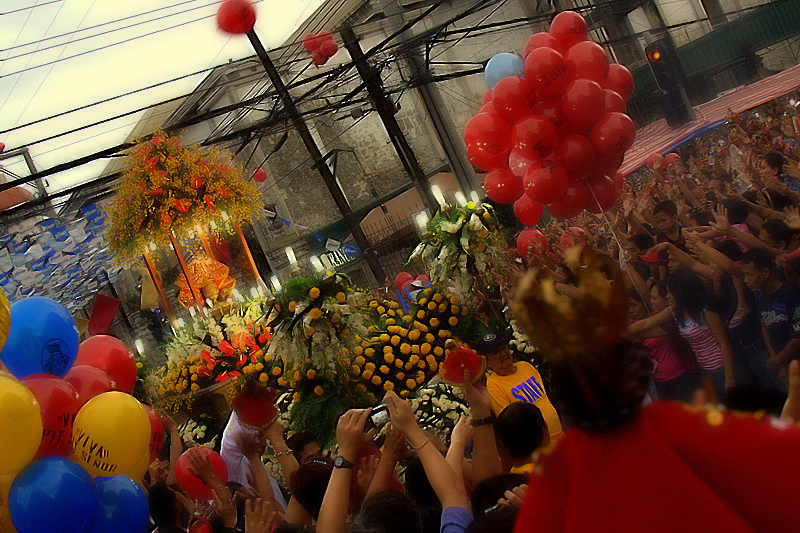 While Sinulog remains a highly religious feast, some people tend to forget the real essence of holding such festival. It is good to remind them of the aforementioned activities for them to realize that Sinulog is not about attending wild street parties and getting drunk with friends and strangers alike. At the end of the day, it is still about giving thanks to the Almighty for all the blessings and the good life received on the previous year.